Kristen is thrilled to meet new students and help them find confidence, strength, and empowerment! With a background in personal training and fitness club management, Kristen appreciates the phenomenal and exciting workout that pole provided, without the monotony of traditional gym training. As a working corporate professional and a mother of two, Kristen stays busy but always carves out time for herself each week to have fun and relieve stress through pole dance. She has found true passion in helping others find their own love for the art of pole, and takes pride in seeing new students surprise themselves by doing things they didn’t know they were capable of. competition world. 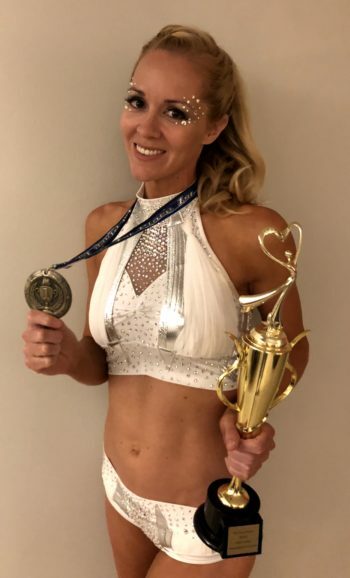 Kristen took home two gold medals in separate events in 2018.